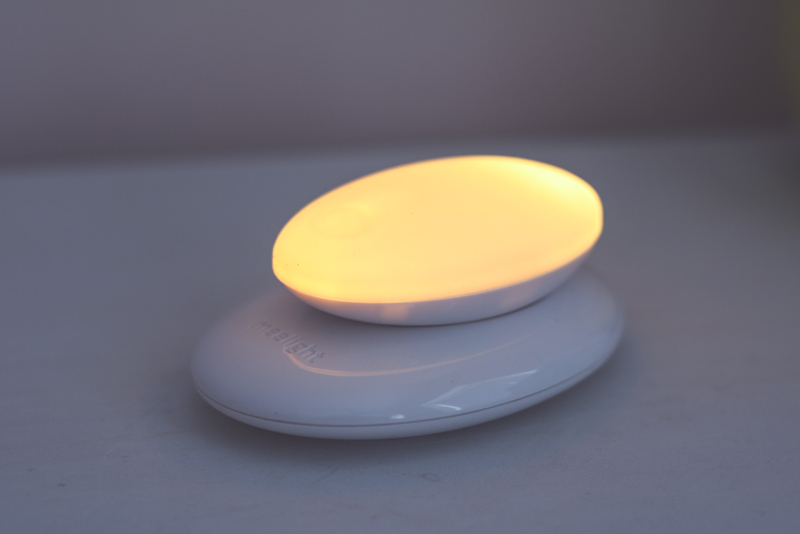 The Meelight is a feeding and care night light. 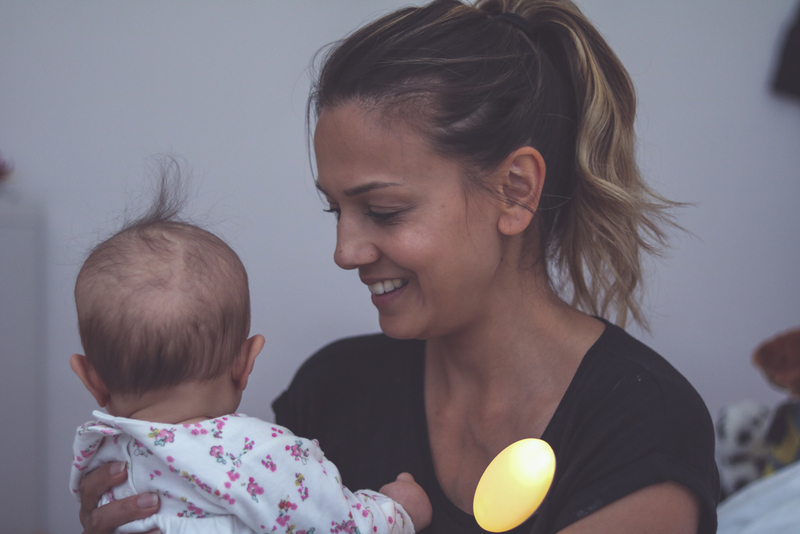 It gives the "right kind of light" needed when caring for your baby at night: a soft, golden glow. It minimises blue light, which can be stimulating, so little ones aren't disturbed as much and can fall back to sleep more easily. It has just one button to turn it on and off, and the same button adjusts the level of brightness. There are four modes: low level light, low level light on a timer, medium level light on a timer and high level light on a timer. The light will turn itself off after 30 minutes if used on any of the timer mode but on the continuous low level mode it will stay on and can last for around 48 hours before it needs charging again. The light flashes to let you know when it needs to be charged, which takes an hour using the USB charger. I like to keep the Meelight on low level light throughout the night so that I can easily check on Essie and so that she doesn't wake up in complete darkness. I usually need to turn it up to medium to see what I am doing when feeding her, and I use the high level if I need to change her nappy. As the Meelight doesn't need to be connected to the mains it is completely portable and provides light exactly where I need it. And the Meeclip that comes with it means that it can also be attached to clothing, which is so handy for night feeds. As Essie gets older it will be useful as a night light or even night time bathroom trips! Over the years I've tried various things to try to get the right amount of light needed during the night when caring for my babies, but nothing was ever totally right: either too bright or too dim, or needed to use mains power which limited where I could put it or used non-rechargeable batteries which was annoying if I had no spares. With Jude I had been using the dimmed screen of my phone! The Meelight, however, is perfect and I can't recommend it enough. It costs £44.99 and you can find it here. 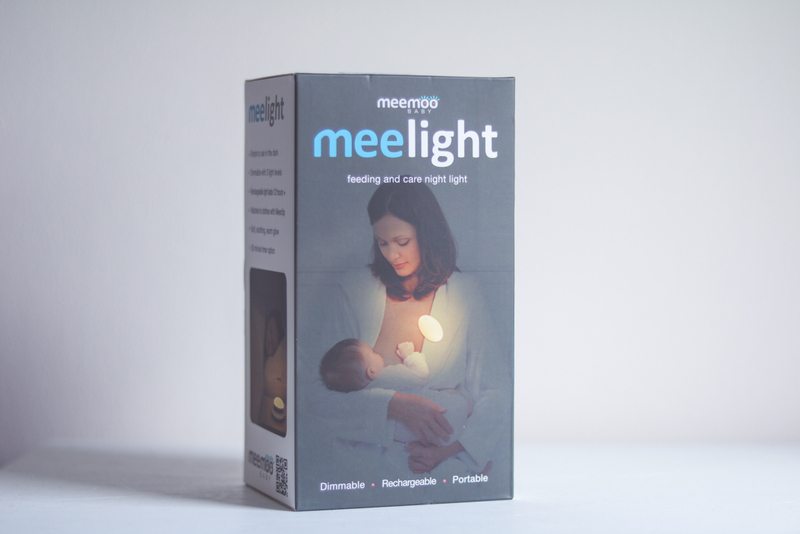 With thanks to Cheeky Rascals for sending the Meemoobaby Meelight for review. Oh this looks amazing - we just have a lamp at the moment on the dimmest setting. I need the light as I'm still feeding Oscar at night (and day haha!) And otherwise it's pitch black in our room! This looks like the perfect product!